Blog Guelph: Happy Family Day! But, have you heard how Jack thinks music makes people's lives better? Or, if he has heard of the word retirement?! I hope you will check out this audio of a great story teller, who recently visited in Guelph (revealing his connections to it), when he stopped in at Evergreen Senior's Community Centre, to chat about the Power of Music -- at CFRU's mobile studio. 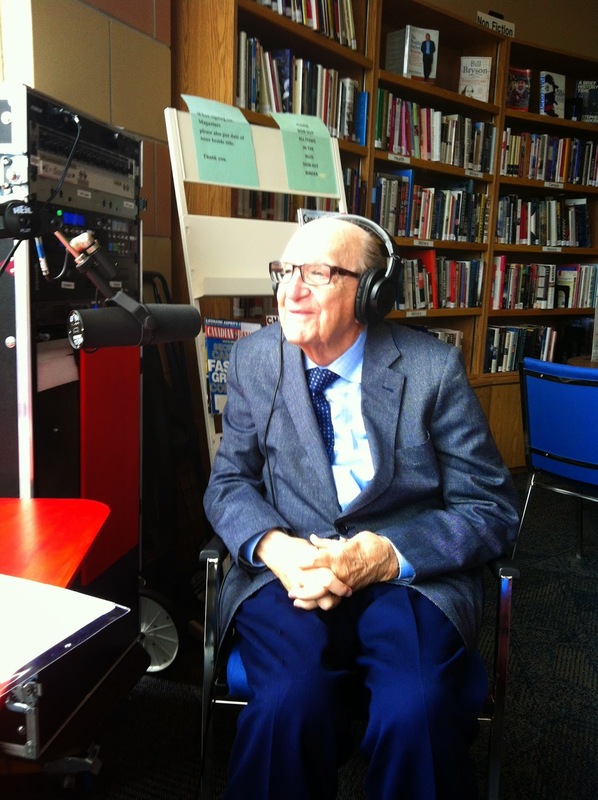 The segment was excerpted from New Horizons The Power of Music Ep 11 09--29-2014, a radio show for senior adults in our area., The interview was co-hosted by a new CFRU volunteer. Unfortunately, our volunteer photographer couldn't attend that day, and also alas, I did the editing and recording tech on my own, ha. Do you think the segment is still too Guelph-centric, to be of interest elsewhere, or is it the better for it? Hoofbeats Radio - like the horse business, the music industry is vast and diverse. The longstanding, volunteer driven horse talk radio went on hiatus with this "finale" broadcast. I have 15 minutes but I can't find the link to your audio. Is it a secret?